A person manufacturing, importing or supplying any radio or electrical apparatus is responsible for ensuring that it complies with all relevant legislation before it can be placed on the market or put into service in the UK (or in the European Economic Area). Ofcom is an enforcement authority for provisions contained in the Radio Equipment Regulations 2017 and Electromagnetic Compatibility (EMC) Regulations 2016 concerning the making available and putting into service of radio and electrical equipment (including fixed installations). Ofcom has a duty to enforce these regulations to such an extent required to protect and manage the radio spectrum. Ofcom can suspend sales and bring criminal prosecutions if it has reasonable grounds to suspect that a regulation has been contravened. The maximum penalty for contravening these regulations is three months’ imprisonment and/or an unlimited fine. In addition, the courts may order forfeiture of stocks of equipment. The regime ensures a single market for radio equipment by setting essential requirements for safety and health, electromagnetic compatibility, and the efficient use of the radio spectrum. It applies to all products using the radio frequency spectrum. Ofcom is an enforcement authority for provisions contained in the Radio Equipment Regulations 2017. This implements EU Directive 2014/53/EU. The Department for Business Energy and Industry has published guidance on the Radio Equipment Regulations. 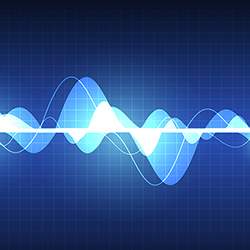 Ofcom is an enforcement authority for provisions contained in the Electromagnetic Compatibility Regulations 2016. This implements EU Directive 2014/30/EU. The regime ensures that electrical and electronic equipment does not generate, or is not affected by, electromagnetic disturbance. The regulations set out the obligations of manufacturers, authorised representatives, importers, distributors and economic operators. Some stakeholders have asked how these regulations will apply after the UK has exited the EU. The Government is responsible for agreeing the regulatory frameworks that will be in place after Brexit.